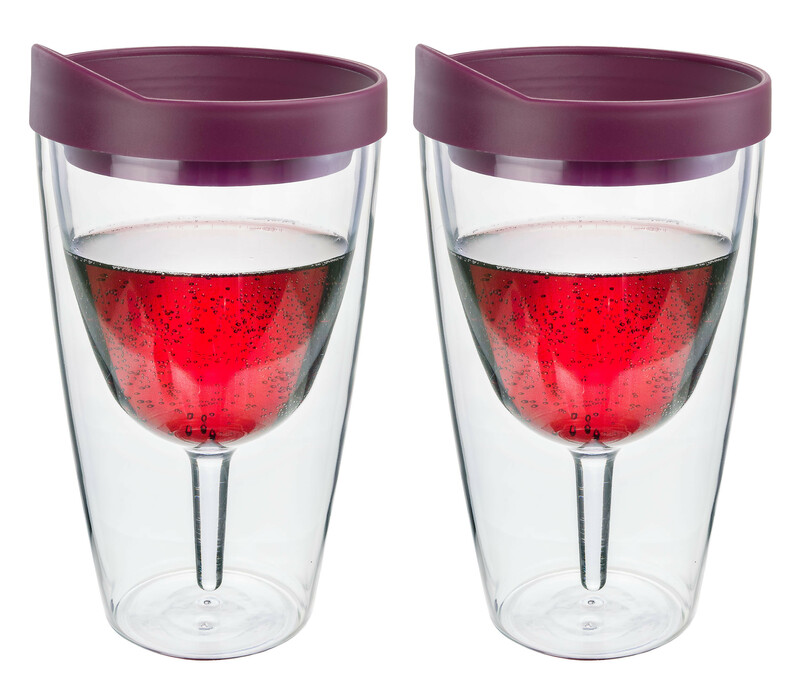 Tumblers come with merlot colored lids. Dishwasher safe. Overall dimensions are 4.03" x 4.03" x 7.38". Includes two tumblers.